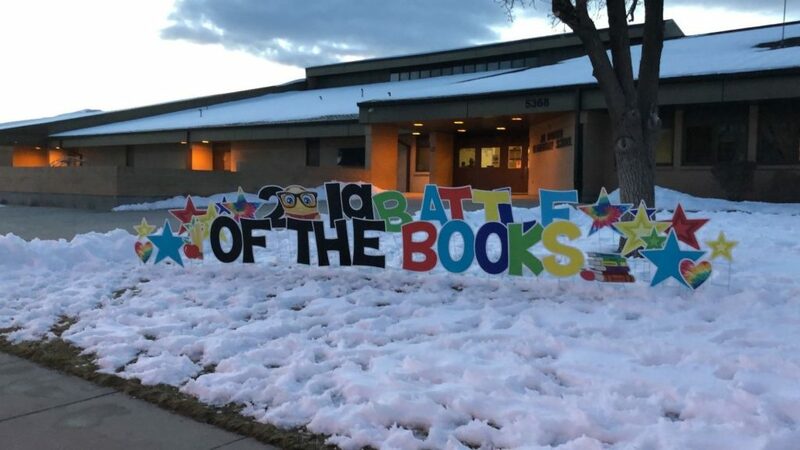 32 teams of 5th and 6th grade students from across Granite School District came together at Jim Bridger Elementary last Thursday, March 14, for the 2019 Battle of the Books District Competition. 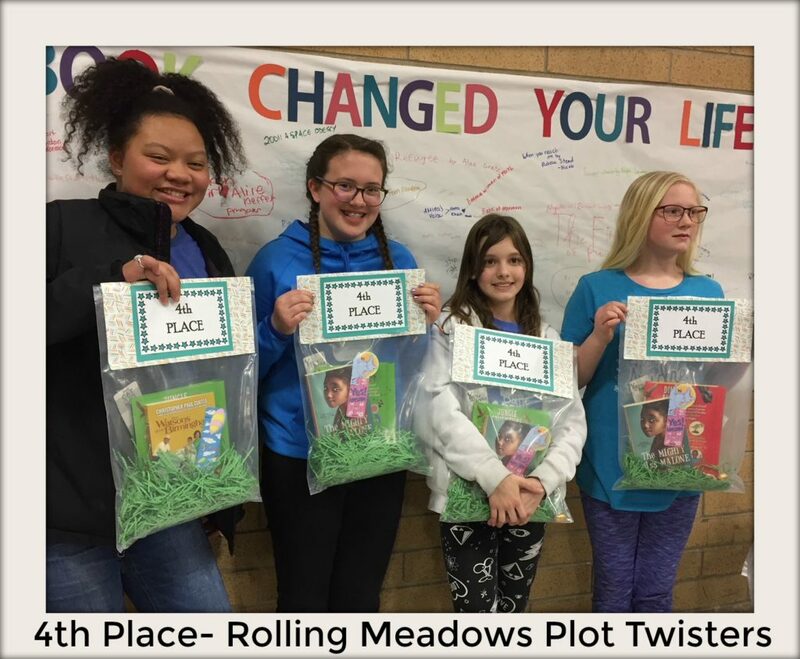 Each team of 3-4 students engaged in three rounds of “Family Feud”-style competition in classrooms throughout the building, answering trivia questions taken from the fifteen books on the 2018-2019 Battle of the Books Reading List. After these round-robin competitions, all teams gathered in the multipurpose room for prize drawings and to watch the four teams with the top average scores battle it out over two final rounds to determine the 3rd and 1st place winners. 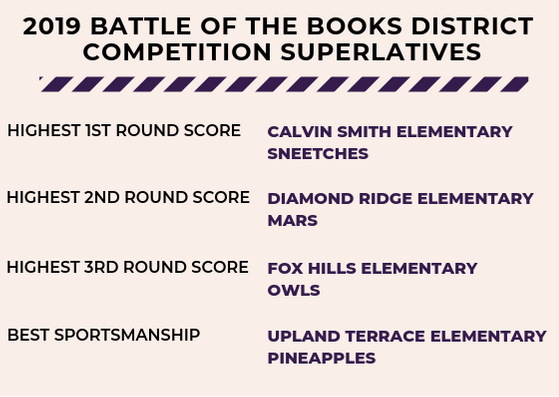 We thank all the students who so enthusiastically read and practiced for this year’s competition, as well as parents, teachers, media clerks, and other coaches and volunteers who helped them along the way. 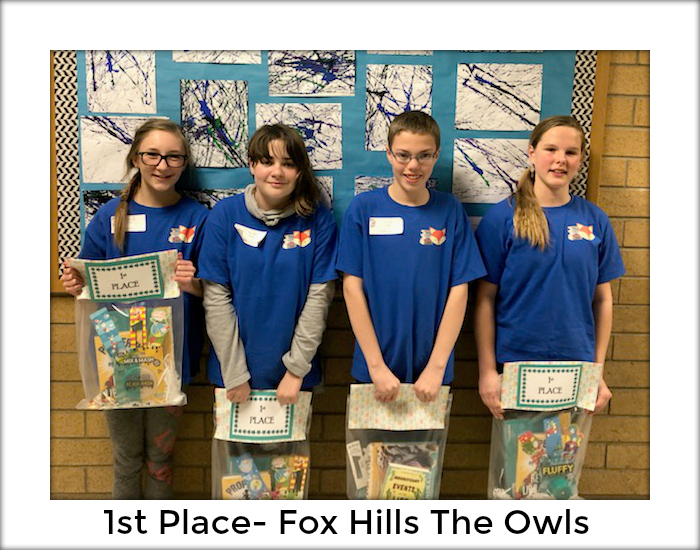 Special thanks to Nikki Gregerson, Elementary Library Media Specialist in the Educational Technology Department, who conceptualized and organized the Battle of the Books program for Granite School District and did much of the behind-the-scenes work to make the program a success. 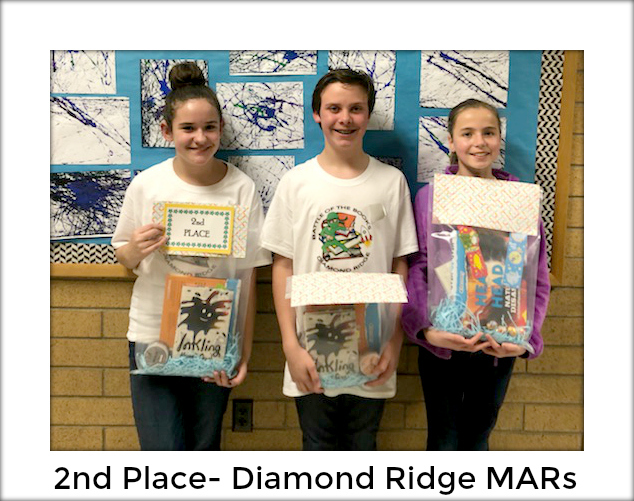 We also recognize special help from secretaries and assistants in the Educational Technology department that made the competition possible: Trinda Burdett, Alyssa Carraway, and Debbie Singer. 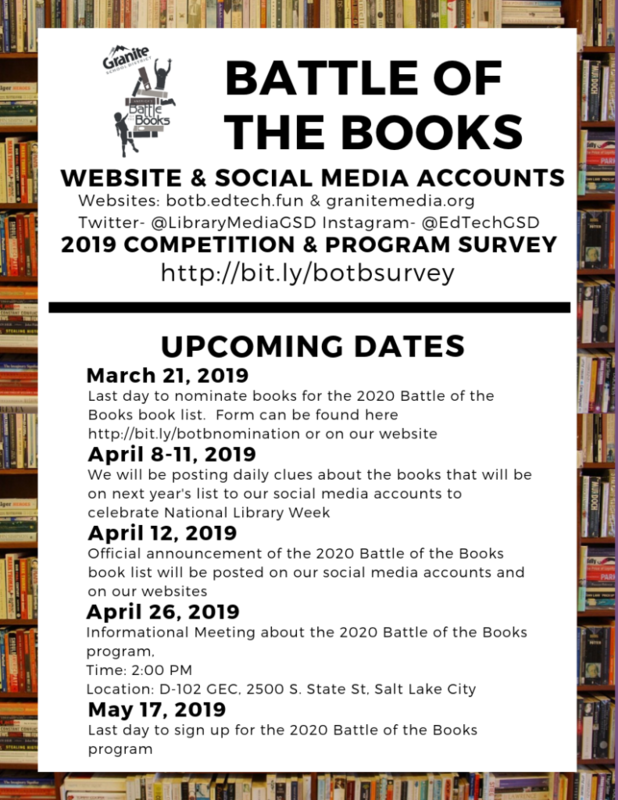 See below for more information about preparations for the 2019-2020 year and ways to get involved in the Battle of the Books program.